SAN NARCISO, Calif. (Bennington Vale Evening Transcript) -- The International House of Pancakes (IHOP) is offering a free stack of flapjacks Wednesday to patrons across the country as part of its National Pancake Day celebration. Although the food is free, the restaurant implores customers to leave a donation for Children's Miracle Networks. 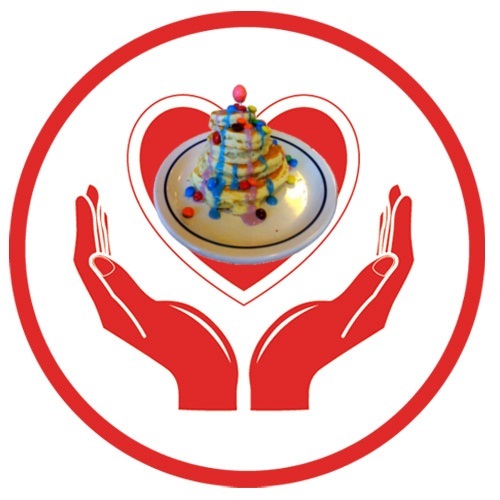 According to IHOP's website, monies raised for Children's Miracle Networks support the hospital's mission to save and improve the lives of children. The iconic restaurant hopes to achieve this goal by giving away stacks of sugary, fatty cakes drowning in butter and gallons of gooey, sweet syrup. Despite the annual goodwill gesture, police in San Narciso call the event a logistical nightmare that requires an increased presence for crowd control. Last year, an influx of hungry homeless children flocked to the restaurant, disrupting IHOP's mission of helping the nation's impoverished and ailing youth. "This is a first world country with third world health problems," said Ivanna Niet, an IHOP spokesperson. "Our program helps Children's Miracle Network treat the unacceptably high number of sick children. Promoting a healthy life for these kids is our number one priority. IHOP plays an important role in providing the most important meal of the day: a nutritious breakfast of cake-based desserts." She added that "when you consider that this breakfast counts for 25 to 50 percent of your day's caloric allowance, that's a lot of food for free." In the wake of last year's fiasco, the San Narciso Police Department confirmed it would be posting uniformed officers around the Bennington Vale IHOP. Ren Williams, SNPD spokesman, said, "Llast year, we found ourselves overrun by a gaggle of homeless people from the Hobo Gardens transient community outside town. And it was disgusting. This is a charitable event aimed at helping those in need, not a bunch of grubby, filthy panhandlers."